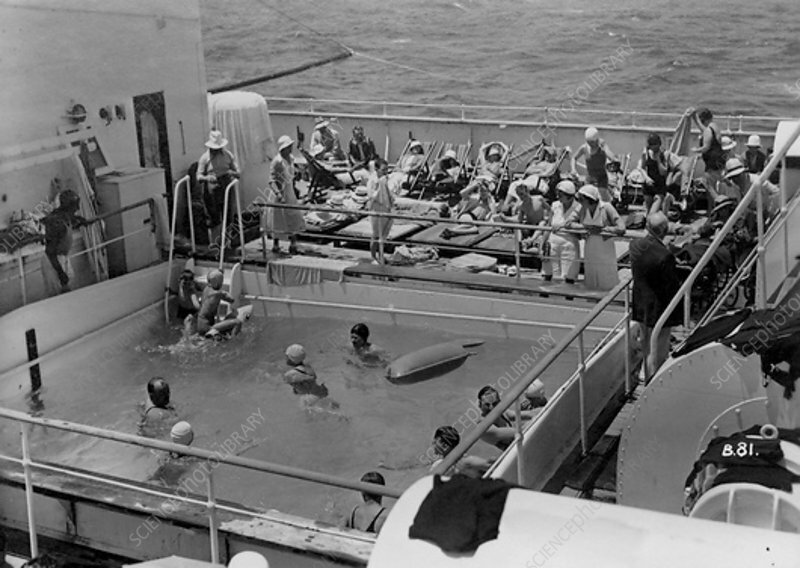 Swimming pool on board the RML 'Atlantis'. Previously a liner named 'Andes', the 'Atlantis' was converted into a cruise ship and renamed by the Royal Mail Steam Packet Company in 1929. She later served as a hospital ship during World War II and ended her career transporting British emigrants to Australia and New Zealand before being scrapped in 1952.